For many, a LinkedIn profile is something to think about after you’ve landed your first job — or at least after you’ve graduated with a degree. But the time to start building your career network is actually during your first year of college. Why so early? Because if you get started on LinkedIn, stay active on the site, make connections, and spend at least some time focused on your future career over the next four years, you’ll likely be ahead of the game — and ahead of most of your classmates — upon graduation. Think about it: Scouring online job boards and sending blind applications and resumes is a thing of the past, and not a very efficient use of your time while searching for a job. Instead, most great job matches (both for job seekers and employers) are found through a networking contact. In fact, some estimate that as much as 80% of new jobs are never listed but are instead filled internally or via networking. If you still aren’t convinced, here are our five top reasons and features that make LinkedIn the smartest social media site for college students. It’s no secret that these days, whether you’re applying for an internship or your first real job, prospective employers will search online to learn more about you. 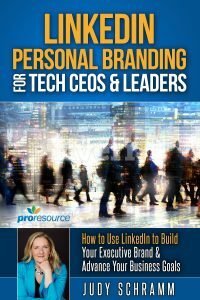 While Google is the most popular starting point for online searches, your LinkedIn profile will usually show up at the top of that search. So even if a hiring manager starts with Google, he or he will end up at your LinkedIn profile. In fact, a 2017 CareerBuilder survey revealed that 70% of employers use social media to screen candidates; that’s up a whopping 60% in the last ten years. The Alumni feature helps students find and reach out directly to alumni of their school who work for their target employers. Sharing the same school gives you an opportunity to connect with these useful contacts — something you want to start doing before you apply for a job. LinkedIn also offers a feature through which you can get other people to give you recommendations or endorse your professional skills. College students who pay attention to this feature and reach out to professors, classmates, organization leaders, and past managers for recommendations have a greater chance of attracting attention from potential employers. While LinkedIn is a great place to make connections and conduct company research, it’s also a place where companies post their jobs and internship opportunities. (More than 20 million US companies use LinkedIn to recruit with 11 million active job listings on LinkedIn at any given time.) Follow companies via LinkedIn to decide which ones you’re most interested in for internships and your ideal first gig as a graduate. Another smart tip for job searching: You can set email alerts to receive notifications of recommended jobs based on your interests. The Groups section on LinkedIn allows you to connect with thousands of professionals who are experts in the fields you are interested in or actively pursuing. Groups are a place to join conversations, connect with hiring managers, and engage with influencers — a priceless opportunity for people just starting out in the working world. Note: Groups are not currently as popular as they once were, but LinkedIn is working on enhancing and updating the Groups function. Look for them to become much more useful in the near future. To help college students get started, LinkedIn has created an online LinkedIn University, completely dedicated to supporting students while they grow their professional network, research companies, and start their careers. Two of the most helpful tools are their “Building a Great Student Profile” page and the LinkedIn Profile Checklist that highlights each section of your profile and explains what should be included, such as recommendations from professors or managers; special classes you’ve completed; education, including summer programs; internship experience; and more. 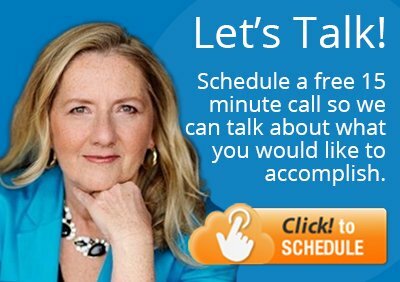 Schedule a 15-minute call and we’ll talk about where you are in your education or career, and discuss how we can help.